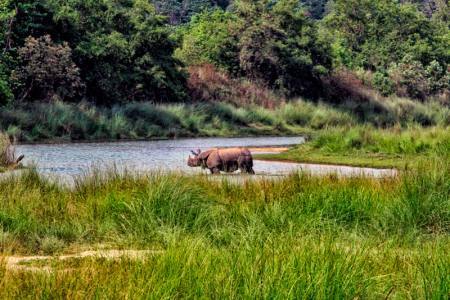 Nepal is not only known for trekking in snow-capped Himalayas but also a exquisite Jungle Safari through the pristine National parks.Bardia National Park Nepal is the largest untouched wilderness in the Terai region of Nepal. 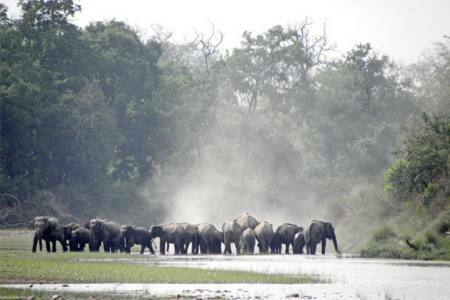 The park protects 968 sq km of Sal forest, whispering grassland, bordering the Geruwa and Karnali Rivers. The atmosphere is wonderfully tranquil. 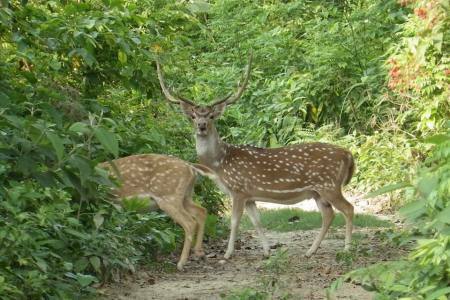 There are estimated to be around 22 royal Bengal tigers and 100 one-horned rhinos at Bardia National Park. These animals are elusive and sightings are rare. Other mammals in the park include grey langurs, rhesus macaques, leopards, civets, hyenas, sloth bears and barking, spotted, sambar and hog deer. Bardia also has more than 250 species of birds, including the endangered Bengal florican and sarus crane. Gharial and marsh mugger crocodiles and Gangetic dolphins are occasionally spotted on rafting and canoe trips along the Geruwa River. The geography of Nepal is such that the northern side has Himalaya’s whereas the southern lowland commonly known as Terai is densely vegetated with tropical forests providing habitat to diverse variety of wildlife, flora and different native as well as migratory birds. Nepal has got some exotic Jungle Safari destination in the world. 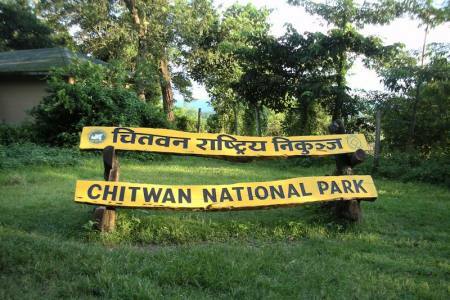 With 14 national parks and wildlife reserves in Nepal, Chitwan National Park, Bardia National Park and Koshi Tappu Wildlife reserve are best known for the activity of Jungle Safari. 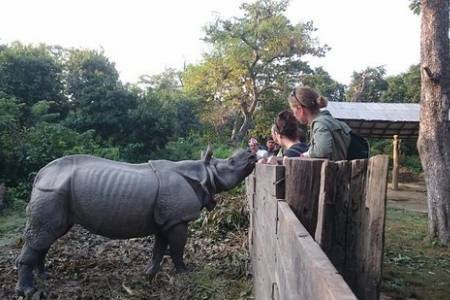 Bardia national park tour provide habitat to different rare and endangered wild species which includes Royal Bengal Tiger, One horned Rhino, crocodile, four horned antelope, striped hyena, Gangetic Dolphin and many others with 550 species of birds. 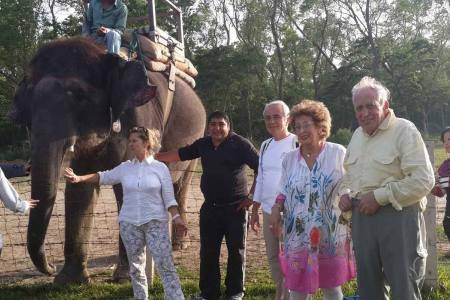 The activities included in Jungle Safari are going deep into the jungle riding in elephant back viewing wildlife, ride canoe on the rivers embedded in the park to see crocodile and water birds in their natural habitat, nature walk, bird watching, village tour and cultural show. These parks are in the easily accessible via road or air both. This safari trip will be an extraordinary experience which you will remember for your lifetime. Stay overnight in Hotel/ Cottages. 4) Transportation to/from attractions but from/to Neaplgunj pick up/drop off included. Day 01Fly from Kathmandu to Nepalgunj and drive to Bardia National Park Arrival and Relax in Hotel/ cottage. Stay overnight in Hotel and Cottages. Day 02Whole day walking safari to view Gangetic Dolphin- swimming possible. Walking in allows you to explore the rich diversity of the jungle, grasslands and rivers. This is the best way to see wildlife and nature close up. Your guide can give you in-depth information on the habitats you pass through, details of the plant and animal life you encounter and will brief you on general tracking tips. Day 04Early morning Bird watching followed by chance to relax or explore the surrounding village. Explore the community forest, river habitats and open water areas to see the wide range of varieties of birds. Bird watching is best done on foot for the least disturbance, but you can take a jeep safari or drift down the Karnali River for sightings of the many river birds. Our well-trained guides can help identify the different varieties of resident and migratory birds encountered. During the months of September, November, February and April, migratory birds arrive to augment then number of residential birds giving birdwatchers a great opportunity to enjoy their sport. Departure after lunch to Nepalgunj Airport by bus/jeep and fly back to Kathmandu your own Hotel.